Bucks Tavern prides itself on offering up the freshest of everything. Homemade chili, hand patted burgers and even hand breaded chicken tenders. 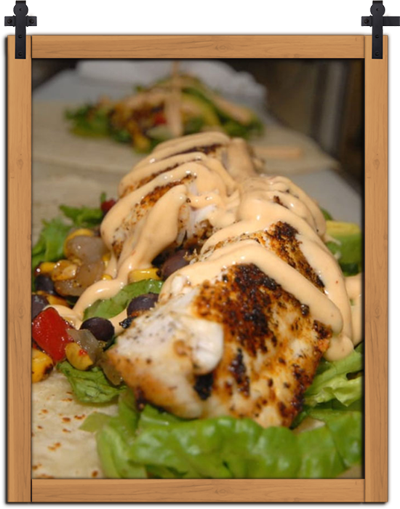 Also hand prepared is the fresh all-natural white fish that makes up our fish sandwich. Bucks offers a variety of appetizers that are sure to please. Bucks even has a kids menu complete with the ever popular grilled cheese. Including draught beer selections and a wine list that was chosen to compliment any menu item. Sports fan? No problem at Bucks! We offer 8 high definition televisions and of course the Sunday Ticket. Friday and Saturday until 1:00 am and Sunday until 10:00 pm. you just might run into a neighbor! Like and follow us on Facebook. We will keep you up-to-date with the latest specials and events hosted at Bucks Tavern. If you have visited Bucks, you can leave a review and tell us about your experience.